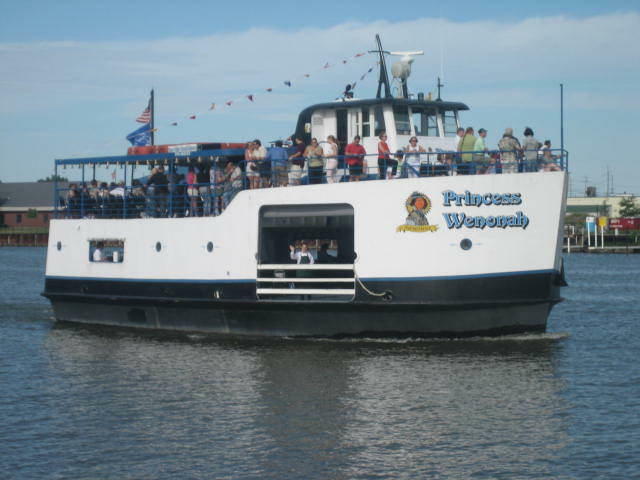 Dance the night away with a live band and enjoy dinner aboard the Princess Wenonah on one of our lively Friday night summer cruises! Join us for dinner, live music & dancing departing at 7pm, returning 10pm. The Princess Wenonah and Islander offer a unique perspective of the Bay City area. Join us for daytime tours on the Saginaw River each summer with a live narrator. Great for ages 1 to 100! 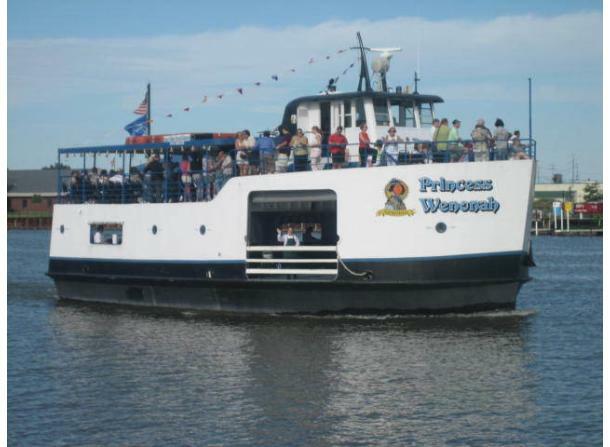 The Princess Wenonah and Islander excursion boats operate seasonally, with routes on the scenic Saginaw River in Bay City, Michigan. Get a unique perspective of our waterways and the city! Explore the area’s abundant natural beauty from our decks and breathe in relaxation. Choose seasonal Dinner & Entertainment Cruises or family-friendly daytime Guided Tours. Group pricing available on evening and weekend events! See our website for current schedule of events. Have a special event to plan? Call for private charter information. Bay City Boat Lines provides free tours are offered on weekdays mornings at 10:00 a.m. during the summer season. Weekend offerings include Friday night Entertainment cruises and Saturday morning tours at reasonable rates. The Princess and Islander depart from their dock on the Middlegrounds Island just South of M-84. Tickets available online!